Today’s world is a place for those who can perform at best of their abilities to outperform their competitors. It is essential for the individual to accentuate his productivity and efficiency to accomplish the task on time and with a great deal of success. A person’s mental abilities play a key role in these aspects, and it is important to keep up to the game with growing demands. To boost mental abilities, a person needs to introduce healthy habits and nutritious diet to increase brain power and memory. Brain power and memory are key to a person’s success and abilities to perform at best of his capabilities. It is the prime requirement of a person to reach the maximum potential of his capabilities to achieve success. In order to boost brain power and memory, there are many things a person can do and introduce in his life. It includes a change in lifestyle and dietary adjustments which are essential for proper growth of the brain and keeping the memory sharp. Let’s discuss few of these aspects to boost brain power and memory. The first thing a person can do is to eliminate stressors from his life. Stressors can suppress a person’s ability to perform his work. A person should do everything in his power to avoid stress such as anger and anxiety which can eat away the various performing parts of the brain which is responsible for brain performance and memory. Among the most damaging stressors for the brain is depression which, if misdiagnosed, can lead to memory problems and its primary symptoms include the inability to concentrate on the work along with losing interest and lack of motivation. If you facing problem to concentrate and focus on the work, then you can feel like you are in a state of constantly forgetting things and important issues. This has led to increase in the usage of brain supplements which helps in improving cognitive functions and resolving memory issues. Depression leads to increase in levels of cortisol in the bloodstream which can elevate the cortisol level in the brain. According to recent studies conducted by doctors, it has been discovered that increased cortisol in the brain can diminish the certain areas of the brain especially the hippocampus which is the place where short-term memories are being stored. Prolonged depression can lead to the destruction of brain’s ability to remember anything new and makes it unable to learn new things. One should seek professional help in order to combat depression. Depression can also lead to poor social interaction which can lead to more stress on the brain and hence affect the brain’s power as well as memory. 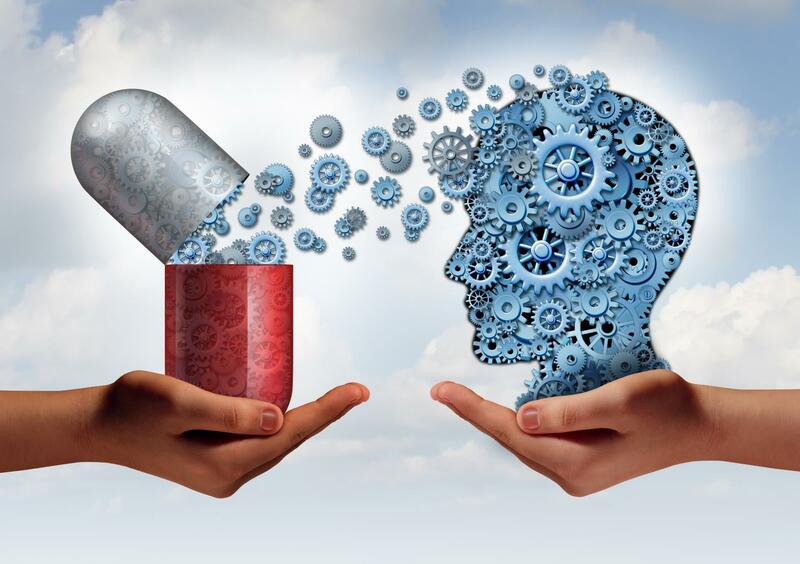 Brain supplement is one of the ways with which a person can boost his memory and brain power in case he has prolonged depression and needs to focus on the work and increase the mental capacity. Secondly, when it comes to the overall weight of the brain, 50 to 60 percent of it is pure fat which is essential to insulate its billions of nerve cells. The better the insulation of these cells are, the faster it can send as well as receive brain signals which quicken the thinking process. It is exactly the reason why most of the parents are advised to include whole milk in the diet of their young children along with restrict dieting. The brain requires fat to grow and to work properly at best of its abilities. Third important activity is the use of visual concepts. To increase the remembering capability, a lot of people use visualization of the information which they study. They pay special attention to photographs along which charts and other graphics which might be present in the book they are reading. In case they are not studying a book, then they try to visualize a mental image of things which they want to remember. It also assists them to draw their own figures as well as charts. They often utilize colors and highlighters to group various related ideas in their descriptive notes. Now let’s discuss the dietary changes a person can make and food he can include to boost his memory and brain power. The right foods can help a person to use his brain to the maximum of its ability. It also challenges your brain to grow new cells as well as create new connections. Thus, it improves the problem-solving and decision-making capacity of the brain as well as improve memory functions. It is important to eat fresh organic foods which are in their natural state. It is important to drink plenty of clean and pure water since about 85% of brain’s weight is water. It is a known fact that water increases the alertness of the brain. If you are feeling drenched, and low-concentration in work, then it is better to have a glass full of distilled water instead of caffeinated or carbonated drink. Try to avoid fast food and highly processed foods which are often filled with harmful chemicals. Many foods available in the market are genetically modified which should be avoided. They are not nutritious in comparison to organic and natural foods. They are also dangerous to the health. Many research suggests that including berries in your diet can reduce or even reverse the deterioration of brain function. In particular, blueberries have shown that they affect the ability of the brain and improves the memory. They also keep the brain young and helps in improving the balance and coordination of the body. Berries are rich in antioxidants which are essential to protect brain cells from the oxidation process as well as damage from free radicals. Antioxidants can essentially slow down the process of brain aging and help in preventing many diseases. They also help in promoting the growth of healthy brain cells. If you can’t get hold of berries, then you can use brain supplement to boost your brain power and improve your memory. Vegetables and fruits are also essential for boosting brain power as they contain natural sugars which keep you alert. Your brain requires natural sugars to function at its best of the ability. Avocados are quite rich in good fat as well as vitamin E while whole and sprouted grains are quite rich in fiber. These two food items are good for circulatory system of the body. Better the circulation of the blood, better it is for the brain. When it comes to maximizing the brain power, essential fatty acids play a vital role. They help in promoting normal brain growth as well as development. Many research studies have shown that consumption of foods which are high in Omega Fatty acids can significantly reduce the risk of various diseases. These fatty acids are also good for boosting memory function and learning ability of your brain. Marine plants such as blue-green algae and other food items like nut or seed oils are a rich source of good Omega fatty acids. All nuts, especially walnuts, essentially feed your brain as they help in keeping the arteries clear and also boost the serotonin level. Serotonin is a neurotransmitter which assists in controlling sleep, depression as well as memory and other neurological processes. Food items like raw, unprocessed organic olive oil, hemp seed oil or coconut oil also consist of healthy brain fats as well as fibers and proteins. Brain supplement is also a good way to increase the mental capacity in case you can’t get hold of these nutritious nuts. Another food ingredient is flaxseed and organic chocolate which boosts brain power. They are rich in vitamin E which assists in keeping the brain healthy in the later part of the life. Real chocolate also leads to release of dopamine which enhances cognition as well as mood. But make sure that you eat minimally processed chocolate which retains the purest cocoa-which is as close to the bean as possible. It means 100% organic cocoa powder or even dark chocolate bar which contains at least 75% cocoa. Be careful that the chocolate you purchase because few chocolate manufacturers follow unhealthy and unethical processes and practices. One should also keep vitamins and minerals intake at right quantity. Many vitamins and minerals such as Vitamin A, C, E, B Vitamins along with Folic Acid and Magnesium are healthy for brain functions. According to few researchers, herbs like ginseng and gingko also have a positive impact on the brain and helps you in keeping alertness as well as improving memory. Body cleansing is also an another way to boost brain power as well as memory function. By elimination of toxic chemicals as well as heavy metals from the body which comes from environment and diet, you can get rid of dangerous free radicals which harm your brain and also contribute to disease as well as poor health. Eating proper food can lead to enhancement of brain functions. Using brain for various activities such as reading, learning new skills, playing a musical instrument, learning a new language or attaining computer skills can make brain quick and nimble. Brain supplement can also assist in increasing the brain function and memory retention capability. With the changing lifestyle of people, our brain and memory suffer various kinds of influences. Due to dietary changes and stressors like anger and anxiety, brain functions can diminish to a greater extent. Depression can cause a great deal of loss of cognitive abilities and lead to the decline in brain functions. It is essential to indulge your brain in various activities which enhance the brain functions and memory capacity. Visualization of things helps in improving cognitive capacity as well as boost brain power. Many visualization techniques can be employed to learn new things and remember the important stuff. A person should also increase the uptake of good fat as it facilitates the brain function by insulating the brain tissues and nerves. It also helps in better neurotransmission which is essential for increased brain activity and power. Brain supplement as also quite useful in increasing the neurotransmission. Intake of water right kind of food is also an important aspect of brain development and improvement of memory. Plenty of water can boost the brain functions, and in case you are losing concentration and feeling mental lethargy then you can drink a glass full of water rather than a cup of coffee. Eating food rich in fiber is also an important aspect of improving the dietary habits. It helps in blood circulation which in turn assists in boosting the brain performance. It also leads to improvement of memory as well. Fatty acids are also quite essential for improvement of brain activities. They help improving brain functions and assist in learning new skills. Blueberries and other berries are also quite good food item which helps in improving the health of the brain. Uptake of natural sugar increases the mental alertness and hence improves the cognitive functions. Nuts like walnuts and other kind help in combating depression. They help in maintaining the right quantity of Serotonin which is a neurotransmitter which controls, sleep, depression, anxiety, etc. Vitamins and minerals are also essential for better growth of the brain and retention of the memory. Various vitamins like Vitamin A, C, E, B Vitamins and minerals like Folic acid and Magnesium assists in boosting brain power. Body cleansing also helps in removing harmful toxins from the body which affects the brain functions. These toxins can come from environment and food you take, so body cleansing is the best way to get rid of these toxins. Brain supplement is also quite good when you need to improve your brain function and boost your memory. You can also try to learn new languages and skills, do crossword puzzles, etc. to sharpen your brain and improve your memory. With all these ways, you can certainly boost the performance of your brain and improve its functions and memory. Here, we end our article, and we wish to know about your opinion as well as views too. Mention your comments in the space below.